Attitude. It has been described as the difference between winning and losing in life. People who live with a joyful, positive, “God is able” attitude see God do amazing things in their lives. Conversely, those who don't ... don't. 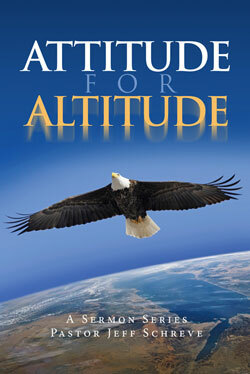 Your attitude really does determine your altitude. In this 6-MESSAGE series, Pastor Jeff Schreve will provide encouraging insights from God's Word to help us adjust our attitude God-ward and experience the peace, power and presence of the Lord as a result.